Michelle was born in Perth. Her mother is Yindjibarndi from the Pilbara region. She holds a Bachelor of Arts Degree in Aboriginal and Intercultural Studies and Fine Arts. She is a qualified cultural planner and has worked in the not-for-profit sector, local government and State Government as an arts and cultural Project Officer, Manager and CEO. Michelle has sat on numerous Panels and Boards, and on Australia Council Panels (CCD and ATSIA). 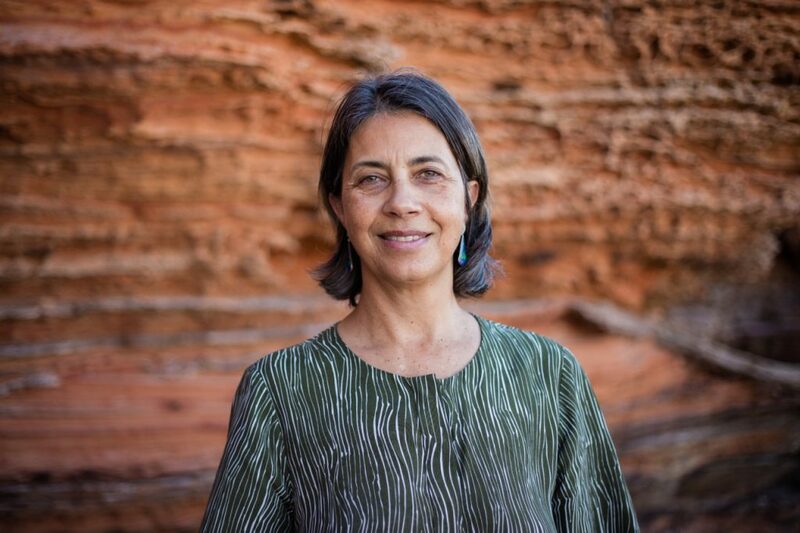 She is a member of the Yindjibarndi Aboriginal Corporation and the Ngarluma/Yindjibarndi Foundation, of which she was a Director from 2007–2010. She is currently a Board member of Creating Australia. Michelle brings public sector expertise to the Marrugeku board which she joined in 2014.